Stencil Material for Sandblasting, Protection and Reinforcement. Main ApplicationsDue to the thickness and resistance tesa® 4434 is also suitable for reinforcement of uppers (leather) and shoe soles. Product Featurestesa¨ 4434 is a special masking tape with a strong, thick and resistant paper backing and has been developed for manual cutting. Due to the extreme resistance tesa¨ 4434 is mainly used as a protection material for grinding in workshops and base pads on tables during die-cutting in the shoe, leather and metal-working industry and further protection works. 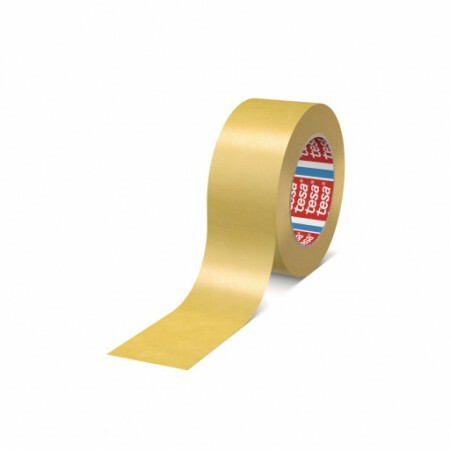 Tesa 4434 is also known as elephant tape.